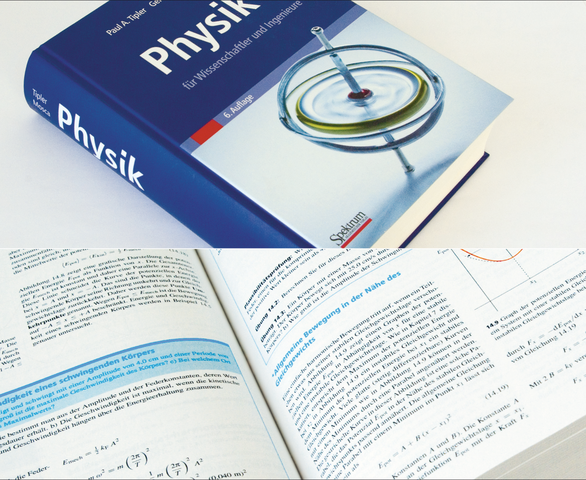 Spektrum Akademischer Verlag – or SAV – is a German-language technical publisher of scientific publications, non-fiction, and textbooks. This 1,660-page work was realized in just five months. As well as implementing a highly complex TeX layout, the 500-page workbook and an image DVD were also produced. le-tex thus played a key role in establishing Tipler’s work as a strong flagship title.